I’ve been working on what I call the “Tell and Sell” for my new novel Ribbon of Darkness. (I call it the tell and sell because hopefully, once you tell it, you will sell it.) Here’s what I’ve got so far. Describe your novel in one word: Adventure. Describe your novel in one sentence: Ethan Barak is a cross between Jack Bauer and James Bond--a man seeking personal redemption who ends up trying to save the world from a terrorist attack. Describe your novel in thirty seconds. Ethan Barak sets out to find his father’s killers and ends up in the middle of an international terrorist attack. He finds himself in an impossible situation when Kennedy Campbell---an international journalist---is thrown into the mix. Ethan has believed for so long that he could never let anyone close to him because of his job as an MI-6 informant, but Kennedy is a woman who intrigues him with her courage in the face of danger. He wants to let her in, but is afraid to risk her life. Ribbon of Darkness is a high stakes romantic suspense that will keep you turning pages all night long. Yeah, it’s a work in progress. But there are four great things that having a stellar and crisp Tell and Sell will do for you. 1. A good tell and sell will help you focus on what’s important in your novel. 2. A good tell and sell will help give you ideas for your back copy. 3. A good tell and sell will help you write your query. Have you thought about your tell and sell for your work in progress? It’s not as easy as it looks. If you haven’t ever tried to write one, you should. And tell me how it goes. Sell me on it! I’ve needed that quote this week to persevere and get some writing done. 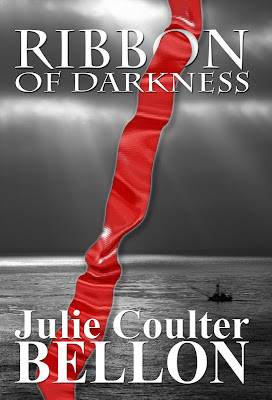 It’s been a little bit of a struggle, but I managed to get the final edits on Ribbon of Darkness done and that one’s off to press, and I got about 1000 words done on Grace and Connor’s story. So, all in all, not a bad week. Here’s my dilemma, though. Things are going great on Grace and Connor’s story. I love it. But the two main characters in Ribbon of Darkness, Ethan and Kennedy, have a sequel that’s been calling to me. If you know my work, you know I never do sequels, usually because by the time the story ends I’m sick of the characters and am ready to write something with new characters. This time, however, Kennedy and Ethan have another story for me to write, which is sort of exciting, but nerve-wracking at the same time. Do people even like sequels? (Sometimes they’re sort of like a Cars 2 or a Cinderella 2, never as good as the original, you know?) So I wonder if anyone would even want to read another story about Kennedy and Ethan. Should I spend the time to finish the sequel or keep going with Grace and Connor? Decisions, decisions. If you have any thoughts on this, (even though you haven't read Ribbon of Darkness yet) please share. And tell us how your word count went this week! There was recently an article in the Deseret News that talked about the author’s feeling of shame at reading and liking LDS fiction. She was embarrassed for her friends to know she read it and felt she should be reading more “weightier tomes.” (She's an English major). She never puts any LDS fiction on her Goodreads shelf (for fear of what others might think of her?) and, as she put it, “LDS fiction is like the mac and cheese at a grown-up buffet.” Although she liked LDS fiction, she thought it wasn’t very literary. I mean, I know LDS fiction has a stigma attached to it and that some people still believe that it is merely conversion stories or sappy stories. (And you can probably still find those out there.) But, for me, LDS fiction has improved by leaps and bounds over the last ten years and I find the stories available to me now are just as good as some nationally published books. The only difference is, in an LDS fiction book, I don’t have to worry about any language or other scenes popping up that I would prefer not to read. For me, if I want a great mystery book, I immediately think of Stephanie Black, Josi Kilpack, or Jeff Savage who give me mysteries that curl my toes. And if I want a great suspense I’ll reach for the latest Traci Hunter Abramson or Jennie Hansen. My go-to historical romance authors would be Sarah Eden or H.B. Moore, I mean, there’s something for me in every genre that I am interested in---quality authors who produce quality stories. I don’t get the idea of people being ashamed of that. Is LDS fiction a “guilty pleasure” for you? Do you tell other people that you read it? If not, why not? I’m truly interested in knowing. And, if I may, who are your favorite LDS authors these days? Being a mom is hard. There are days when I long for a quiet house, the ability to go anywhere, including the bathroom, alone, or be able to have a phone conversation without an interruption every thirty seconds. But then there are the moments that make it all worth it. When my baby is crying and the only person he wants is me. When he snuggles his tiny little body close to mine, and curls his hand around my finger, and my heart melts. Or when my toddler gives me a sticky kiss with both hands on either side of my face and tells me she wuvs me and is glad I’m a pwincess. Or when my husband and teenagers stay up late with me, watching a silly movie, laughing until our sides hurt and I realize in that moment that they are my best friends. Those are the moments that make it all worth it. So today, when there are arguments about chores and piano practicing, when I’m cleaning up spilled juice, or changing horrifyingly smelly diapers, I’m going to focus on those moments to get me through and wait patiently for the next moment to come along. Because in those moments, being a mom is wonderful. And when I look back on my life, I want to remember more of those moments than all the rest. What’s been your best mom moment that makes it worth it to you? Welcome back to First Page Friday! Paige walked into the lobby of the church building with butterflies in her stomach. She went to the chapel and found her parents. She tried to hold her excitement down so that they wouldn't notice. Jack Porter was home and she was finally going to see him again. It had been two years since she had seen him. Jack had been in Mexico the past two years serving a mission. And now he was home. Paige looked up to the front of the chapel to look at Jack. There he was. He looked the same as when he left. He was tall and still lean. She couldn’t see his eyes well from here, but she thought of his dark blue eyes. Paige loved those eyes. By the time the meeting started the chapel was full of family and friends of Jack’s. Jack always made friends wherever he went. He was just that kind of guy. When it was Jack’s turn to speak, Paige sat up straighter and tuck her hair behind her ear. If he looked out in the crowd and saw her she wanted to look her best. He probably wouldn’t see her anyway, but it didn't hurt to try. “I’ve been asked to speak about some experiences I learned on my mission,” Jack said to start his talk. Paige listened to his stories about conversions he was a part of and stories that happened to him and him companions. She felt uplifted listening to his experiences. That was why Paige liked him so much. He had a spiritual side to him and wasn't afraid to show it. If only he knew how much she liked him, had always liked him. The first sentence propels us directly into the story. Paige’s entrance into the lobby gives us not only physical momentum, but also narrative momentum. Butterflies in the stomach are a bit cliché, but perhaps tweaking the description a bit will convey the nervousness and preserve the otherwise compelling hook. Immediately, the reader wonders why Paige is nervous, impetus enough to keep reading. The first paragraph, however, lacks rhythm. It is a string of simple sentences that sounds staccato when read aloud, because the periods force us to take a breath. Point of view is an important consideration when writing a romance. Why is this Paige’s story and not Jack’s? We learn nothing about her on the first page; all we are given are her reactions to Jack. A lot of writers, myself included, sometimes take for granted that the reader will automatically find their protagonists as fascinating as they do, because they know things that the reader does not on the first page. Paige needs more dimension. Who is she? What about her makes her a worthy vessel for this story? The story of a young man returning from a mission in another country and reconnecting with a woman from his past seems much more compelling. Therein lies the problem. We learn so much more about Jack than we do Paige in this excerpt. The story also tells us far more than it shows us. Jack gets one line of dialogue to introduce his speech, and then his actually storytelling happens off the page. Why can’t the reader be privy to his stories? We can’t feel uplifted along with Paige if we don’t know what she’s hearing. Moreover, statements like “He had a spiritual side to him and wasn’t afraid to show it” don’t tell us much. This much is obvious from the text. Explore that spiritual side in more depth—and, again, consider whether or not Jack might make the more compelling narrator. It may mean the difference between a story that uses Paige as a generic narrative vessel for readers to live out a romantic fantasy and a character-driven story about what it means to come home after two years away and try to rekindle a lost love. I'd like to thank A.R. for submitting and Ms. Shreditor for critiquing. I know both people spent a lot of time on this submission and I'm grateful they were willing to be part of First Page Friday. See you next week! I love books. For as long as I can remember I’ve loved reading and have had a book on my bedside table. I even have a second grade report card in which the librarian admonished my mother not to let me have more than ten books out from the library (I think she thought I didn’t read them all or something.) But luckily, my mother encouraged my reading. Later in life, English was, of course, my favorite subject in school because it came easily to me. I loved being introduced to the classics and had a teacher that made it all seem like an incredible adventure when we were learning about Shakespeare, Dickens, Austen and others. So when I went to college, I earned my degree in Secondary Education, English teaching, so I could hopefully inspire others as my own teachers had done. When I became a mother, I tried to instill the love of reading in my children, although part of me couldn’t imagine them doing anything but loving to read. After all, they were my children! It was a proud day when they turned five because they all knew they could get their own library card then. We had so many great moments at the library---during storytime, free time, and family book club time. I loved it. But then my children got older and began to choose their own activities, and one son’s choices didn’t include reading. I was shocked at first. I mean, how could he not love reading? How could a child of mine not love books? He said it just wasn’t his thing and he would rather be out playing basketball. Of course all the statistics about what reading does for scholastic achievement and even just plain life skills with literacy ran through my mind. I wanted him to be able to be the very best he could be, and I knew that meant I had to encourage his reading habit in a way that wouldn't make him feel forced or backed into a corner. 1. I showed him magazine articles on his favorite basketball players that he might like to read. 2. I introduced him to the biography section of the library which has many books on sports people that he admires and tells how they achieved "greatness" in their chosen profession. 3. We have a family book club and each time someone in the family finishes a book I take them out for ice cream and we discuss what they did and didn’t like about the book. This little incentive has actually motivated several of my children to stretch and read a few more books than they might have otherwise, including my reluctant reader. 4. My husband reads bedtime stories in the hall so everyone can hear. I know that having their dad read to them has made a difference in how they feel about reading. It’s also helpful that my husband is an avid reader himself and my children have all seen him with a book in his hand since they were small. 5. We have a regular time set aside for reading. It’s sort of fun to all be together with our different books. Of course a poetry book or magazine still counts and sometimes, for my reluctant reader, just having small columns to read instead of chapters makes it seem easier to him and not so overwhelming. 6. Books on CD are available for him to listen to at night right before he goes to sleep. I was actually surprised at how much he liked this one, but thrilled, of course, that he did. 85 percent of all juvenile offenders rate as functionally or marginally illiterate. "Whether children can read well by the end of third grade is a strong predictor of how they are likely to do in the future—in school, at work, and as parents and citizens. The facts are sobering. Children who do not learn to read proficiently by the end of third grade are unlikely ever to read at grade level. These youngsters are at high risk for later school failure and behavioral problems, for dropping out of high school, and for a host of negative life outcomes once they reach adulthood." Reading is important for every child and a successful life can be built on reading skills. That's a fact. But reading is so many things--pleasure, learning, and inspiration--that I want my children to experience all of that. And hopefully they will catch the vision themselves, and pass it on to their children. It’s time to check in for Word Count Wednesday. How did you do this week? I didn’t work at all on my current work in progress. I’ve been busy editing two of my backlist titles for their ebook debut. I’m really excited about that. As soon as they’re out, I’ll let you know. So, my word count was down, but I edited over 400 pages so I’m counting that as a success. I also found this little saying this week, that I printed out and put near my desk. Isn’t that so true with anything in our lives? Anyway, I liked it. Be sure to tell me how your word count went this week. It’s fun for me to celebrate word count successes with other authors. So don't be shy. Tell the world (or at least the people who read this blog) how is your work in progress coming? 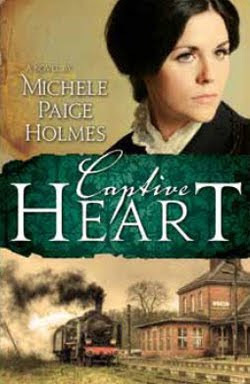 I was excited to read Captive Heart by Michele Holmes because the backliner intrigued me and the first chapter didn’t disappoint. The book starts off with a train robbery and young women being kidnapped from the train. One young lady tries hard not to be noticed and when she is, and is being forced from the train, she fights for her life. And such begins a quirky, fun, and very emotional journey for our main characters. The thing I liked best about this book is that it would seem to be a predictable western romance, but the author has several twists and turns that had me wondering where exactly she was going to take it. I really enjoyed the depth of both her hero and her heroine with the experiences they’d both been through to lead them to this point. There was one situation that really had my mouth hanging open and the author plays it well, engendering pity, outrage, and sorrow for what has happened to a young family. This book is a perfect blend of great characters and a well-written plot, combined with a unique setting that adds just the right touch. The only thing I didn’t like about it (and it was a teeny tiny personal thing) was that the epilogue goes a bit further than I wanted it to. Without giving anything away, I wanted to see an event that had been hinted at throughout the story, but the epilogue goes beyond that by about a year. With that said, however, the book ends with a great sense of closure and it’s the kind of book that makes you smile once it’s done. I highly recommend it. Emmalyne Madsen sends a desperate plea heavenward as a band of lawless men makes their way up the aisle of the railcar. When one hauls her roughly from the seat, threatening and cursing, Emmalyne fears her adventure out West has just turned into a nightmare. Thayne Kendrich has an urgent need for a school teacher, and he’s not above doing whatever it takes to get one — including forcing her at gunpoint across the scorching prairie. But the teacher he chooses turns out to be a little tougher — and softer — than he anticipated, and before long he finds himself battling emotions he vowed to never feel again. Emma, too, struggles with feelings she knows she ought not be having toward Thayne. He’s an outlaw, after all — or is he? As the days pass and their destination — the Black Hills — draws nearer, Emma realizes that out West, the line between right and wrong is sometimes blurred. Might the man she believed to be on the wrong side of the law have acted with the purest intentions? If so, her greatest danger may be in her own heart, as he holds her captive in more ways than one. And if you want the chance to win a copy of this amazing book, you can enter the LDSWBR Countdown to Summer 2011 Contest here! It’s totally worth a try with all the great prizes being offered. But hurry, all the fun ends this Friday! I am so excited to show you the cover for my new book! A split-second decision could change the world’s darkest hour to one of triumph--but who is willing to pay the price? Kennedy Campbell has been running away for a long time--using her position as an international journalist to escape the ghosts of her family's past. She finds some solace working in an Afghan refugee camp, until the Taliban attacks them and Kennedy is forced to flee. She is pulled into a terrorist's realm of darkness as she fights to save those around her, but will it come at the expense of her own life? Ethan Barak leads a double life, helping MI-6 bring down arms dealers all over the world until his father is murdered by an old associate. Ethan makes his next mission a personal vendetta by tracking down the killer to Indonesia. While there, he finds himself in a position to either avenge his father or stop a terrorist attack on the Malacca Strait that will jeopardize innocent lives across the world. Can he look past his father's murder to save others? With the line between justice and mercy blurred with each passing second, international intrigue becomes intensely personal as the age-old struggle for redemption is brought close to home. Today we are excited to have an entry from our own Jon Spell. Here it is! Rudy gazed thoughtfully at the darkening world just outside his house. It was that peaceful time as the last light from the sun withdrew from the woods. He sat in his old recliner, tapping his pen on his teeth. He was unaware of the stealthy presence in his own house. Rudy reached over to turn off the lamp to better see outside and saw his own reflection in the window. What he saw startled him, leaving him with his hand outstretched, fingers questing for the lamp's switch. He saw himself in the mirror every day, but this visage didn't look right. It was like looking at a caricature; he could see the resemblance, but it just wasn't quite right. Must be a distortion in the window. He shook his head and left the lamp on. Reflections at dusk prompted inward reflections. How might his life have gone had he taken a different path? "There must be a story in that," Rudy thought, getting excited. Not just the road less traveled, but the fast-paced highway he had never been on, where he had never seen any of the exits or destinations. At best, he'd flown over them and saw others who resided there. Rudy leaned forward to get his trusty legal pad, knowing this would make a good column for his readers, but found that he was stuck and couldn't move. There is a certain stillness to this narrative. The first page keeps our narrator firmly rooted in his recliner, a character-building sort of inertia. With this stillness, though, comes a lack of narrative momentum. The story begins passively, with Rudy gazing thoughtfully outside, and he remains pensive in his chair for the duration. There needs to be a stronger hook. There is plenty of time in a novel for introspection about what might have been, but the extended highway metaphor muddies the story at its crucial opening juncture. Dealing so heavily in metaphor so early on pulls readers away from a character before they learn anything of substance about him. We do learn some important things about Rudy in these opening paragraphs, though: that he is a dreamer rather than a do-er, that he spends more time writing about life than he does living it. Still, what is the driving force of this story? Is getting stuck to the chair a pivotal moment or symbolic of his general passiveness? Why does the story begin here? The reader doesn't need to know it all after the first page, but he or she should have at least a vague idea of where the story is headed. The central narrative question (“How might his life have gone if he had taken a different path?”) is compelling. It's the stuff of great stories. But, as stated, it feels somewhat cliché. You might consider recasting this question so that it feels fresher. The writing itself is quite strong. The sparse descriptions help establish setting without inundating the reader with extraneous adjectives, and the varied sentence length gives the prose a natural rhythm—the kind of rhythm you might expect from authors who take the time to read the occasional paragraph aloud. Also, the distorted reflection was a really compelling device. The bones for a meaty story are here, and the sample makes evident that the author has the writing skills to carry out the vision. The first page just needs some tweaks to make that vision clearer and hook the reader/editor/agent. Thank you again for your entries and for the time Ms. Shreditor takes to help us each week. I know I’m definitely learning a lot from her comments (even though they're for other people!) and I think it’s making my own work in progress stronger. One of the best features of my house is the fact that there is an oversized Jacuzzi tub in the master bath. It is my little piece of heaven. Yesterday, I was enjoying my little piece of heaven when I thought I’d use the bath salts that had been sitting there on the sill for far too long. I took one corner of the bag they were in and poured it into my heavenly bath. And I sucked in a breath. Two dead flies had come out of the bag with the bath salts and their little dead bodies had broken up upon impact with the water. Needless to say, my bath was ruined. It’s brilliant really how well this horrifying fly incident went with my thoughts on plotting. But to take it a step further, after figuring out a basic plan of where your story/plot is going, there are three more basics of planning a plot that every story should have. 1. Have an unexpected twist. Really, though, that’s the glory of plotting—there are so many directions that an author could take with any given situation. One thing is always certain, however, and it’s that in a good plot, the hero/heroine are never the same. They are forever changed and have hopefully grown from whatever experience they’ve had in the book. It makes them more real and three dimensional when the plot actually does this and, as a reader, I know I feel like my time was well-spent when I see that kind of character growth in a story. Of course, after my fly experience I know I’ve certainly changed. I will never look at bath salts the same again. And I will always, always, look carefully before I pour anything into the bathtub. But that’s also where I went wrong in my little plotting/dead fly scenario. A good author will know her plot from the beginning, or at least have beats of it written somewhere as she’s writing. There aren’t a whole lot of surprises for an author of a well-written plot. And if we’re comparing what happened to me, I didn’t know the end from the beginning in that I was stunned by the dead flies and didn’t think to look before I poured. However, I’ve learned my lesson, and I am definitely applying this little analogy to my work in progress, by working on the subtle beats of tension in each chapter and doing a quick outline to get me to the place where I know the end. I know if I work this out in my head, my writing will be crisper as I try to ratchet up the tension with each page as we work toward the final showdown. ---Some idea of where you are going, whether you outline it all, or write a few ideas down. ---Your character will grow through the story you have plotted for them. ---There should be a twist of some kind to make your plot fresh and original. ---The author should generally know the end from the beginning. And now can we have a moment of silence for the two flies who lost their lives so this post could be possible . . .
Word Count Wednesday is here already! Boy, it seems like they're coming faster and faster each week. I didn’t make any sort of huge progress, but I’m plodding along. The characters and story are taking shape and I’m actually pretty proud of myself for sticking with it through an incredibly busy week. I got 2800 words and I’m about a fourth of a way through the first draft. Not bad for a week when I didn’t think I’d get anything done on my draft. And how did you do on your word count this week? Last year I had a regional calling as a Special Needs Mutual Adviser. I’d had that calling for almost three years and I can say hands down I loved being there. I love being around those with “disabilities” because of the spirit of love that is there when they are talking, singing, and enjoying mutual like other kids. Each year we do a road show and last year, one of the young men with Down Syndrome asked if he could sing the national anthem before the show started. He was given permission and the night of the performance came. He walked onto the stage with the biggest smile I’ve ever seen. He didn’t even look nervous. He’d worn a dark suit and he patted down the lapels, making sure he looked his best before he started. As he grabbed the microphone, I put a smile on, knowing that the national anthem is a tough song, but I was prepared to clap for him, no matter what. He began the song and, honestly, I felt my jaw drop on the floor. His voice was low and rich, completely in tune and beautiful, hitting the high notes and sounding every bit the accomplished singer that he is. His little body vibrated as he closed his eyes and sang his heart out. In that moment, I could almost see the scene in heaven, this talented man with an incredibly pure voice singing praises there, and getting ready to be born to a body here that had limitations. Yet, even with those physical limitations he hadn’t lost his singing voice and we were all recipients that night of his amazing gift. As the last notes floated away, there was almost dead silence in the cultural hall before we all stood up, clapping madly for the fantastic performance we’d just been privileged to hear. I know I will never forget that moment as long as I live. With my own experience of being with special needs kids, I wasn’t prepared for how the book The Upside of Down would affect me. It gave me a perspective I'd never had before and is one that I know I will think about for a long time to come. The book addresses several issues that I think every woman may face at one time or another. Natalie is dealing with receiving a calling to be the Relief Society president, raising a large family, including a teenager who is making decisions that could be alarming to a parent, and a mother who is quite demanding. On top of all of this, Natalie discovers she’s expecting a baby, even though the doctors had told her she wouldn’t be able to have any more children. Of course Natalie is overwhelmed and the author does a great job of making the characters, especially Natalie, have depth and realism. There are so many incidents in Natalie’s life with motherhood mishaps, well-meaning people who say things without thinking, and Natalie’s own insecurities about how she will do in her calling both as Relief Society president and as a mother. I felt like I was right there with her during it all. But of course, how Natalie deals with the news she receives about her new baby is the author’s crowning achievement. This book is not preachy. It’s not a woe-is-me tale. It’s about struggle and hope, sacrifice and love, laughter and tears. It’s three-dimensional writing at its best and one I am still thinking about, even though I’ve finished it. Because the book affected me so much, I asked for the privilege of interviewing the author, Rebecca Talley. Here’s what she had to say. I wanted to write a book about raising a large LDS family--"they" say write what you know and I know having a large family. I enjoyed "Cheaper by the Dozen" and thought it'd be fun to write a similar story with an LDS slant. Besides, my kids have done so many things to me over the years I wanted to share the "joy" of their escapades with others. The characters in this book seem so real. Were they based on real people or real experiences? The character of the mother is a combination of my grandparents. Some of the things she said were things I'd been told through the years. The husband is based on my own, and, yes, he really is that nice. The kids all have various characteristics from my own kids. Though it is fiction, I included many real experiences in the story. If there was one message you hoped that your book would get across to people, what would it be? That the Lord knows best. We may have a life plan, but if we trust in Him we will see that His plan is far superior to our own. We need to trust the Lord in all we do and continue to build our faith in Him. We cannot take our faith for granted, we must continually feed it so it will grow. As a mother of ten, when do you find time to write? I don't have much time to write, especially in the summer, but I try to get in a little writing every day. A very wise and prolific writer once told me that she only writes fifteen minutes a day and she has been published multiple times. Little snatchets of time can produce a book over time and that's what I have to do. Here a little, there a little. And, my family has become much smaller these days. I only have six children at home now :(. I'd pay tithing first, then I'd pay off our mortgage. I'd buy a tractor to plow up the weeds in our fields, a 4WD truck so we could drive up our driveway in the winter, and pay to have a greenhouse built so we could have fresh produce throughout the year. I'd buy a home in UT so I could visit often and be closer to my older kids and I'd take my whole family to Hawaii. I was inducted into the National Honor Society while I attended BYU. Thank you so much to Rebecca. To find out more about Rebecca, you can go to her website here. Natalie Drake certainly has her hands full raising a large family, dealing with her difficult mother, and maintaining a relationship with her rebellious teenager. Just when things seem to be going smoothly, she finds out another unexpected surprise—she’s going to have a baby. Faced with so many challenges, Natalie must learn to trust in a plan that isn’t what she imagined and discover that every situation has an upside. Beloved author Rebecca Talley carefully creates this touching and heartfelt story that is sure to inspire you. With true-to-life characters and situations, The Upside of Down will reignite your faith and remind you of the importance of family. Do You Have a God-Given Talent? Yesterday we had quite a discussion going on whether our talents were God-given, or whether we could just work hard enough to be good at something and call it a talent. In my opinion, after having eight children and seeing for myself that they just seem to come with innate abilities and things that they are good at, I think we have God-given talents and it is our job to discover them and develop them—which means working hard to be good at them. However, I think we might have things that we might not have a natural ability for that we can work at and be good at, and call them talents. Isn’t that part of the parable of the talents? The men are given talents, but then multiply them? I think that could apply here. Yet, no matter if they are God-given or not, talents still have to be worked at and nurtured in order to reach their full potential. For example, I have always loved writing, even as a young child, and feel like it is one of my talents. But, I’m still working hard to learn the craft and improve at it. It’s part of the process. What do you think? Are talents God-given? Or just something you want to be good at and work hard to do and then call a talent? For ten years or so I’ve been going to my local Family Home Evening store to buy packets with everything I need to do for a family night inside—pictures, stories, games, recipes, etc. The FHE store also had Sunday busy boxes, which was a lot of fun for my kids because there is a wheel that you spin and whatever Sunday activity you land on, that’s what you have to do. The store has gone digital and you can now download each family home evening lesson and busy box for a small fee. It’s been well worth my time and I thought I’d pass the link along to you. Click here. This is a quick and easy family favorite of ours. Mix salsa, cumin, oregano, cheese, and chicken. Place ½ c. of the mixture in a tortilla, then roll and place seam down in the casserole dish. Bake at 400 degrees for fifteen minutes. Garnish with lettuce, tomatoes, sour cream, and salsa. Welcome back to First Page Friday! Ms. Shreditor is back today, so let’s get right to it. Jolie fingered the remnant of soft gray corduroy in the moldy pile of fabric and wondered about her odds. Could she yank it out without toppling the massive stack on top of it? With a quick prayer to the imaginary saint of crazy hoarders, she jerked it and ducked, ping ponging her way between a wall of newspapers on one side and precarious piles of nearly everything else on the other. She cleared the crash behind her by a yard before she tripped over the tail of a stuffed fox and scrambled back up to assess the damage. The fabric tower lay in a tumbled pile looking like the orphaned child of a mudslide and a laundromat, making the narrow walkway between the junk-lined walls impassable. Jolie's heart sank to her orange Chuck Taylors. Aunt Delphine would kill her, most likely death by long, boring lecture. She glanced over her shoulder to see if the ruckus had summoned Delphine from her recliner in the den. The thud had shaken the house but once her aunt settled in for her Wheel of Fortune fix, little short of Pat Sajak showing up to whisk her away for an illicit weekend in the French Quarter would come between Delphine and her shiny flat panel TV. “Jolie!” Delphine hollered from the den and then coughed, a nasty rattle that wore on Jolie's nerves. “Yes?” she called back, hoping she sounded innocent. Of what, she didn't know. A massive breach of hoarding etiquette? “You ain't getting in my stuff, are you?” Delphine's gravelly voice betrayed her two-pack a day smoking habit. Jolie rolled her eyes at Delphine's suspicious tone. “The library. I'm putting away the morning paper.” A beat went by with no response, and then another beat. Jolie breathed out, relieved, and nudged the fabric muddle with her toe. This would take a few hours to clean up and she'd have to do it when Delphine went shopping, or her aunt would freak out about Jolie touching her stuff. There was nothing Jolie could do about it now. Inside the house, Delphine rarely broke her orbit between the TV and the bathroom. She even slept in her recliner. But if she heard Jolie rustling around Remy's room, she'd stump back with her cane and chew Jolie out for a solid hour. At least. Before I begin my critique, I would like to start by announcing that I am doing away with the Eastwood-ian good/bad/ugly format. It is clunky and restrictive. It backs me into a mental corner, and it stacks the deck in favor of the negative. So, for the time being (i.e., until I can devise some other gimmicky format), you all will be privy to my unstructured editorial rambling. This story is smart, and it’s not just the writing. It’s the choice of topic. Hoarding is hot right now. We have Hoarders on A&E, Hoarding: Buried Alive on TLC, American Pickers on the History Channel, and Extreme Couponing on TLC. (If Extreme Couponing seems out of place on this list, try watching an episode. You’ll see what I mean.) This story taps into an audience that consumes hoarder-related media in droves, so it would look very attractive in a proposal or query letter. It doesn’t hurt that the writing is also very strong. There are some grammatical hiccups here and there, but this writer, to quote my significant other, “has the funny.” Some turns of phrase, particularly the Pat Sajak bit, made me laugh out loud. That said, there are countless storyline possibilities for Jolie. I like that the author chose to tell the story from her point of view. There is a memoir entitled Dirty Secret (Jessie Sholl, Simon & Schuster/Gallery Books) that explores hoarding from a loved one’s point of view. The dynamics between hoarders and their loved ones are often complex, so the idea of where this story might go is intriguing. Watch for my nemesis, the misused participial phrase. Jolie can’t duck and ping-pong through the rubble simultaneously. There needs to be some indication that this is a sequence of actions, and a participle like “ping-ponging” doesn’t quite do the trick. You might try revising like this: With a quick prayer to the imaginary saint of crazy hoarders, she jerked it, ducked, and then ping ponged her way between a wall of newspapers on one side and precarious piles of nearly everything else on the other. It isn’t the best of edits, but at least the sequence of actions is clearer now. Just as an aside, one thing that jumped out at me was that a lot of the paragraphs started with, Jolie fingered, she glanced, she cleared, Jolie rolled her eyes. It seemed a bit overdone to start so many paragraphs on the first page with Jolie's "actions" and I wonder if you could change that somehow and work the actions in. Just a thought anyway. It was a great entry! As always, I'd like to thank Ms. Shreditor for her time and efforts, and thank the person who was courageous enough to submit their page for critique. I always look forward to First Page Friday and hope that it is helpful to everyone. If you are on a writing journey, what is your destination? I’ve been thinking a lot about this lately. My writing journey has been a long and winding one. I was an editor, helping others achieve their dream of being published. I was then published myself by a small publishing company and had a wonderful experience in seeing my work in print. Then I made the jump to a large LDS fiction-producing publishing company and did two books with them. I have a manuscript that is currently an orphan. I have several options for it. My current publishing company has passed on it, but I could put it away and present it at another time. I’ve talked to some smaller publishers, and I’ve thought of self-publishing it and putting it on Kindle, Nook, etc. But as I go round and round with it in my mind, the question keeps coming back to me—in this writing journey, what is my destination? I feel like I’ve met a lot of my writing goals. I’ve been published six times. I’ve had great booksignings and met incredible people. I’ve connected with other writers I admire and I feel like I’ve sort of found myself in a way. But the reality is, the publishing world is changing. Amazon, e-readers, bookstores closing, all of these things have changed the face of publishing and given authors more options. But it’s sort of scary to jump from the safety of traditional publishing with a large publisher. What if going in a different direction doesn’t work for me? What if it does? Is this something I should pursue? I guess it all comes down to what I really want from my writing career. Do I want to keep going as I have? What is is all about for me? Is it about getting my stories in readers’ hands? Is it about visibility and shelf space or money? Is it about taking risks or playing it safe? The road has suddenly forked and I’m not sure which path to take. I need a map. And some answers. I really wish I could see into the future, but then again, thinking about possibilities is delicious, too. There are so many things to consider on this journey and I think a lot of writers are asking these same questions. 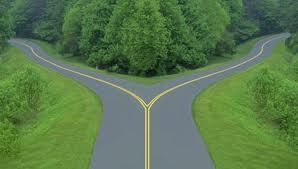 We are all forging our own paths, but the question remains, where am I going? I know it’s Word Count Wednesday, but can I just vent a bit about last night’s America’s Got Talent? I mean, when Piers kept walking off I just thought, how unprofessional. He is getting paid quite a bit of money (a million dollars I heard!) to sit and critique people and he was acting so childishly. I know Howie annoys him, but really? I wish he could just express himself better verbally instead of having to walk away so often. *deep breath* All right, rant over. Weren’t there some talented people shown last night? I loved the impressionist who did Miley Cyrus and the Kenyan group. I’m interested to see tonight’s show, that’s for sure. Anyone else watching it? As for my word count, I am pleased to say I got in 2500 words this week and my characters are really starting to take shape. It’s exciting for me to work on something new and I’m so glad to have a direction. I also have some news that is pretty wonderful to me. I’ve made a summer deal with one of my older children so that I get one hour per day to write and she will take care of the children. I am almost giddy at the thought of having an entire hour to just write. As you can imagine, my writing is done in snatches of time currently and an hour seems like an eternity. A wonderful, beckoning eternity. So I’m thrilled. How did your word count go this week? If you will send your snail mail address to juliecoulterbellon@gmail.com I will get that right out to you! If I Should Die by Jennie Hansen was intriguing to me from the start. The backliner suggests a story somewhat similar to another woman’s real-life disappearance a while back and I was interested to see how Jennie would handle the delicate subject matter. I was instantly drawn to the main character, Kallene, and how she handles the people in her life. When her best friend and running partner confides one morning that she's going to file for divorce, then goes missing, leaving a young daughter behind, Kallene takes matters into her own hands and calls the police and her friend’s family. During the course of the ensuing search and investigation, Kallene finds herself with feelings for both her missing friend’s brother and the lead detective on the case. Which is emotional enough, but there is also the fact that through it all they are still searching for her friend and wondering if she is alive or dead. I loved the triangle in the book and as each relationship progressed I wondered who I would choose if I were in such a predicament. I won’t tell you the end, but I don’t know if my decisions would have agreed with Kallene’s, although I could see why she made the one she did. (I don't want to give anything away!) So I'll just say, these are both handsome successful men. What a choice! Jennie handles everything well, however, and I did find a sense of closure. The suspense is ratcheted up with each successive chapter and to be truthful, I bought the book and finished it the same day. I didn’t want to put it down even for my treadmill time, and decided I’d try to read it while walking. I put my headphones in and continued reading. I was right at the part where the heroine has seen a shadow near her garage and sinks down in her seat so whatever or whoever it is won’t see her and her vulnerability. And just as she’s about to stand up, my son reached over and touched my arm to tell me the telephone was for me. I swear I about jumped out of my skin. Yeah, it was easy to exercise after that because of the adrenaline rush going through my veins! I only had one spot in the book where I was thinking, oh boy, don’t do that, and hoped that the person knew better (but they didn’t and did what I didn’t want them to do). Other than that one instance I thought the book was realistic and well done, with each emotional encounter ringing true. Jennie Hansen is a master storyteller and this book does not disappoint. The villains, the victims, the heroes, and heroines are ones that mesh together seamlessly in this book, all gelling to make an incredible story that you will not want to put down for a second. I highly recommend this book to anyone who loves good mysteries. Run to your nearest Seagull or download it from Amazon, you won’t be sorry! Yesterday at church we discussed a talk given by Julie B. Beck on how we need to have priorities and when we don’t have priorities we will lose sight of what’s really important. Now I am a woman who loves lists. I love checking off my to-do lists because it gives me a feeling of accomplishment, so of course, when the teacher said there were three types of lists that helped Sister Beck keep her priorities in order, I perked right up. The three lists are: The Essential Things, The Necessary Things, and the Nice-to-do Things. Some of the things on her Essential list were revelation, prayer, making and keeping covenants, going to sacrament meeting and repenting every week, going to the temple, giving service, and sharing the gospel. Of course each list will be different for each person, but one thing that struck me was the way Sister Beck approached prayer in her life and its utmost importance. She shared that she took a paper and pencil with her to pray so that she could ask questions of the Lord like, who needs my help? How can I strengthen my family? What do I need to correct in order to be more worthy to receive His spirit? and she knew He would tell her. I had honestly never thought about taking paper and pencil to my prayers. It’s definitely given me a new perspective on what praying could, and maybe should, be in my life. Her necessary list had things like having a home where the spirit of the Lord could be present, which means she tries really hard to have a house of order. She makes meals, tries to be happy, has family home evenings, has fun with her family, and tries to be self-reliant and debt-free. Of course the point of the lesson was to keep the essential things as our first priorities and so on. I’ve been thinking a lot about what items would be on my own lists and I jotted down some ideas in my journal. I think that in my own life there are so many things I want to do and think I can do, but the reality is, I probably can’t do them all. In order to keep the important things in my life from getting less than my best, I think I need to make sure the things I’ve written on my lists stay in the forefront so I can always remember what’s most important in my life. What would be on your essentials list? Do you make priority lists? Tonight we’re going to talk about the creation from Genesis (there are pictures for it on lds.org that you can access here) We’ll talk about what God created on which day and I’ll have each child with a blank piece of paper and some crayons/colored pencils so they can draw the world as its being created/talked about (and doing a little creating of their own). Once we’re finished, we’ll do a little quiz like, “Man was created on what day?” “Birds were created the same day as what? “What did God create first?” “What did God do on the seventh day?” “What day was the sun, moon, and stars created?" etc. Wrap one uncooked bacon slice around each chicken piece and put them in the crockpot. Mix sour cream, cream of chicken soup and flour and pour over chicken. Cook on low 6 hours. Serve with rice. Ms. Shreditor is unavailable this week, but I am so proud to have Angela Eschler critique for us today. Angela is a phenomenal editor (she was my first editor at Covenant. Loved her!) She is extremely talented and has an innate knack for knowing how to fix a story. She is now a freelance editor and writer with twelve years experience in the field. In 2007 she retired as senior in-house editor with book publisher Covenant Communications in order to work more flexible hours, starting Eschler Editing and serving as the company owner and projects manager, and to pursue her own writing. Eschler Editing is comprised of talented and experienced editors, writers, and designers who have served many publishers, businesses, individuals, and universities in a freelance capacity. You can find more information on Eschler Editing’s staff and services at BookEditingAndMore.com, and you can learn more about Angela’s most recent book at AngelaEschler.com. “You can eat dirt!” I watched the soft red strawberries slowly slide down the wall; the juices dripping in thin trails like fine ribbons of blood heading toward the bowl laying broken near the baseboard. I’d missed hitting the door by only six inches when I threw my tantrum—and the ice cream at my boyfriend’s head. Lucky me, graduating from the Arizona State University on Thursday, and getting dumped by the guy I’d had a serious relationship with for the past two years the next night. Anger doesn’t begin to describe my feelings. “It doesn’t look like it.” Chelsea knelt down and picked up the largest chunk of ceramic bowl. This is a rather long review, but that doesn’t reflect on any deficits in the manuscript sample. It has more to do with the fact that I took extra space to give context for my comments on voice and audience. So never fear! Given the length of my comments, we’ll just dive right in with bullet points where we can. · Very clean copy; the punctuation/grammar, etc., is spot on, except for one line I noted that needs proofing: “colored spikes peeked its way” should be “peeking” and “their way.” Also, I’m not sure on this use of “peek”; technically something does peek from a place of concealment, but peeking—by the dictionary’s standard—is a form of peering, a furtive glance. So hair can’t technically peer at someone. · The girls read as teenagers, for the most part, as conveyed by their dialogue. This can be difficult for adult writers to re-create convincingly. Bravo. · The relationship between the two friends feels natural, as the dialogue between them works, and it’s clear (if you intended this) that they are very close—if not best—friends (I assumed this based on the simple line “I knew who it would be before…” which implies that Chelsea would be the obvious person to check on Gracie). I love subtle info bites like this in which the author is not spelling out for me (the infamous “telling”) what the relationship between two characters is. The dialogue works in reinforcing the subtle reveals about their relationship because it is well paced and implies background knowledge of each other’s lives, which is a great way to work in character development and minor bits of backstory (i.e., that the ex-boyfriend may have been a jerk all along), as opposed to using their dialogue to force more awkward, spelled-out exposition (i.e., “What just happened?” [Plot retelling:] “I just threw my ice cream at my now-ex-boyfriend.” “Gasp. Tell me all about your relationship history and what just happened…”). The fact that the best friend is not even surprised by the breakup implies that she’s been getting up-to-the-minute updates on the relationship and has her own opinions about how healthy of a relationship it is. Well done. The reader gets to be on the inside immediately because of this, and thus feels connected (as if to real girls), rather than as if she’s reading a book in which characters are obviously being created in front of her. Connecting with the reader and having them engaged in your story and empathetic to your characters immediately is one of the keys to hooking them. My first thought was, “Based on the opening scene (which, in traditional genres, should give the reader a hint as to what the overall story is going to be about), this feels like a teenage-romance/girl-finds-herself story, but the characters are graduating from college. This might be a difficult sell.” (If your story is not meant to be of the genre I just noted, see my comments below on changing the beginning). I recently had a client who was writing just such a story (girl-finds-self-and-real-love), but after some online research exploring current blogs of agents and editors representing national books, she discovered there isn’t a market right now for college-age characters in this type of story. Currently, teen romance is big, and adult romance is big (college graduates are generally considered to be adults), but those two genres generally have different “voices” to appeal to different crowds, and your book seems more like teen voice. The chic lit phenomena was the bridge for a while—snarky, funny, sort of teen-like perspectives of the single, working professional gal—but that genre is considered dead now. Since agents are pretty keen on having a clear audience in mind to whom their books will be sold (especially when we’re not talking about speculative fiction, which can bend genres more and has more crossover appeal and allows for a great variety of voice), this could be a problem if you intend to market this story to a national audience. To clarify, I don’t mean there aren’t college-aged readers out there—there are plenty—but the publishing industry generally works with genres they can define by particular markets so they can estimate sales as accurately as possible. There are a few editors out there trying to start a market for college-age-issue fiction, but from what I understand, those editors are not interested in romance right now. There are some books coming out right now that feature college-aged individuals, but they aren’t primarily romances, which your book seems to be from first impressions. As my recent client discovered, many times, with books where the appeal of the characters is borderline like this, the agents ask authors to make the characters younger—just getting ready to go to college or just starting it or just finishing high school. This still appeals to teenage girls who are interested in reading about characters a little older than themselves and thus allows for the genre to be clearly marketed to publishers when the agents go to pitch your book. If you are marketing this book to the LDS market, which is more of a niche market that works just a little differently (depending on the genre), you will find more examples of this type of story with characters this age, but in some years they have not sold as well as romance novels where the main character is in her thirties or older. I recently asked the senior editor at one of the big LDS publishers what their current thoughts are on this dilemma, and he told me they don’t know right now. So you could try sending in a ms with characters this age, but you may need to be open to making them older or younger, depending on what your story is really about. Based on which market you want to write for, doing a little online/bookstore research might help you nail your agent or publisher needs right off the bat. If that is not actually the type of story you are telling, then this opening will mislead the agent/editor/reader and may lose you a buy. Or get you a customer who is later annoyed because that’s what they were expecting and they didn’t get it. Is that really the impression you want to give and thus where you want to start your story? We’ve covered potential audiences, so let’s discuss the next relevant part of that discussion, which is gaining the interest of the right reader through voice. Given that you might be trying to appeal to teenage or young adult girls, the opening line (“Eat dirt”) is a very old-fashioned thing for a teenager of today to say. I was wondering if this was some sort of historical story involving teens, but then the rainbow-spikey-haired best friend threw that theory off. If I were a YA agent, this might be a turn-off because it seems like your main character won’t be very up-to-date in terms of voice—that she won’t be “hip/current” enough to appeal to teens today. Options are to make her insult a bit more in-your-face crass or rude, which many teens/young adults are, but which can be unpleasant to read, as many agents don’t really enjoy reading sarcastic teenagers (though this is not all agents), or to be more creative in her voice so that she comes off as clever/funny/unique in her dialogue and insult-throwing generally (which is also a better solution if you are writing for the LDS market). I would strongly suggest upping this character’s voice due to your use of first person. First person calls for very strong voice in which every single thing the character observes comes through the lens of their personality. So objective narrative observations don’t work as well as they might in a different point of view. If Chelsea is the close friend she seems to be, Gracie would know why she does her hair like that. In addition, it seems very much like something a grandma would say about a grandchild she loves but thinks is too unladylike. So the effect is that your character again seems very outdated for a young person today, or she comes across as sort of a square—and I’m not sure you mean for the reader to see her that way. It’s a little hard to empathize with someone like that. Speaking of the example above, it was also a bit too wordy and too forced of a passage. Clearly it was a strategy for describing everybody’s hair color and general looks. The instinct for fitting it all in at that particular spot is good, but the execution was a little too long-winded and obvious. Generally I discourage authors from spelling out setting details and physical descriptions until they can synergize the effort with revealing something about character psychology (either character on the scene, but preferably both), or till they can use the setting details as metaphors for an idea or theme in the book. So don’t just tell us what someone looks like, tell us how the observer analyzes those details—what the observed person’s clothing says about them on deeper levels. I don’t care so much if the friend in the room is wearing jeans and a T-shirt as I care what the main character thinks of that friend based on their outfit. So tell me that the jeans are too tight or that the T-shirt is way too baggy and screams insecure about my weight—something that lets me know how the observer feels about it. That will reveal things about the observed and the observer that are far more interesting than just what someone looks like physically and/or objectively. Unless the outfit reveals something about the characters and their inner worlds, I don’t really care what they’re wearing or what their hair is like, etc. I am going to assume everyone is wearing the standard protocol for their age group and that no one is walking on screen naked. In the case here, your sidekick character is wearing something a little more interesting, but the way Gracie frames it, it almost made me wonder if there is any reason you’ve made Chelsea a little boundary-breaking, or if you just did it to make her look different. If her looks don’t actually give a hint as to her interesting character development later—preferably something relevant to the story and/or the girls’ relationship—there’s no real narrative reason to make her look like that. If you can give us a hint as to her characterization, not just her looks, on the first page, that’s a much better use of a first page. In other words, give us depth at all levels of the storytelling. Especially on the first page. So, summing up the three points with an example (not making Gracie into a grandma, not being too wordy just so you can fit in everyone’s descriptions, and not wasting first-page narrative time on simple physical descriptions), you could do something along these lines: “Her new do was untamed and a conversation starter, but it did sort of distract from her best features. As a natural blond, it was obvious how pretty she was. But I guess it was more interesting than the brown bla bob I had going.” You could exchange the key adjectives for unique words your particular heroine would use. So instead of “pretty” you could use “hot” or “smokin” or something that reveals your character’s voice better and matches the lingo of her age group. The same with the adjective that defines Chelsea’s hair. I used untamed, but you might not want the reader to think that’s why Chelsea went with that look. So use an adjective that describes why—in Gracie’s mind—Chelsea used that look. “Hew new do was wild/spunky/rebellious/unboring/retro, etc.” This gives us an idea of how the main character sees her friend and herself, but without sounding like a disapproving old lady. Since I mentioned that the description of the girls’ looks was too wordy, I’ll touch on word economy now. This is even more important in the industry now, with agents and editors wanting stories that are tighter and tighter, allowing reader assumptions to take the place of authors spelling it out (which readers can do based on clever/precise author rhetoric). Below I’ll edit a couple examples of wordiness that slowed down the pace of the reading, and could thus stall reader interest. Both occurred at the opening of the story, which is the last place you want something too wordy. To deal with wordiness, basically, take every sentence you write (particularly exposition/narrative that isn’t dialogue) and ask if you can cut three to ten words from it. Some strategies for that might be: 1) employing the use of more powerful verbs/words that could eliminate the need for articles and smaller getting-there words, 2) looking at small groups of sentences and consolidating information by combining descriptions, and 3) examining anything that is implied by context and can thus be cut, like saying, “I watched the strawberries . . .” If she next describes the strawberries dripping down the wall, clearly she’s watching them, so we don’t need to be told she’s “watching” them. And strawberries are likely to be red, so we don’t need that detail—the reader’s assumptions will fill in for that information. So on the samples below, compare them to your original to see what descriptions I merged, what I cut based on reader assumption, and where getting-there words were trimmed to get at your more powerful descriptions. “You can eat dirt!” The soft strawberries dripped down the wall; their juices like fine ribbons of blood pooling in the broken ice-cream bowl near the baseboard. I’d missed hitting the door—and my boyfriend’s head—by only six inches . . .” (the tantrum is implied by the action and the dialogue). Lucky me, Arizona State graduate on Thursday—bright future ahead—and dumped from my serious two-year relationship the next night. Bright future significantly dimmed. You could say I was mad. This second bit of exposition had a few too many details to seem like a first-person direct thought, which should be a bit more abbreviated and casual, and the two subjects (graduating and being dumped) seemed like they needed a bit more logical of a connection (transition) to be paired in the same paragraph. So in addition to addressing wordiness I addressed some of that “author precision/rhetoric” stuff. Excellent first step in setting up dynamic characters and tension, but let’s give your book the edge with an immediate intro to your extra-unique character’s personality; also, make sure you know what audience you’re writing to so you can start the story at exactly the right point (hinting at what’s at stake). The best way to streamline and frame all of the above is to up the ante on the voice of the main character so it’s stronger and more distinctive and to support that with tighter overall writing, focusing on your most interesting sentences. Best of luck! Thank you so much to both Angela and Debra. See you next week! Today I want to talk about something that I struggle with. As writers we all know that sometimes our characters speak to us and we can see the scene unfolding in our imaginations or hear a certain character’s “voice” as we write. But there is another voice that writers often hear that we should never listen to. It’s so easy to listen to that voice sometimes, especially after a critique or rejection. Writing is such a subjective profession and because of this, we are going to get negative feedback. There’s no way to get around the fact that some people will love your story, and others will hate it. Some agents or publishers will believe in your story, some will reject it outright. But it is that voice in your head that can get under your skin and allow discouragement to take root. Why do we roll out the red carpet for that negative voice? Why do we allow that voice even one second of our thoughts? I believe it is insecurity. When we don’t believe in ourselves, in our vision, and in our abilities as a writer, that cracks the door open for that negative voice to get its foot in. So what can we do to keep that negative voice out? Here are three things that I do to help me. They may sound silly, but they really have worked for me in reducing that voice in my head. 1. Whenever I catch myself thinking “I can’t do this,” I immediately repeat in my head, “I can. I can do hard things.” I remind myself that writing is a process and if it was easy, everyone would do it. “I can do this,” is a little mantra that I say over and over. I even have a magnet on my fridge to remind me. 2. When I hear that negative voice getting louder in my head, I take a moment to imagine myself at my booksigning for my work in progress. When things get really hard and I think this book will never see the light of day, I sit back, close my eyes, and just let myself see that scene. The stack of books on the table. My favorite booksigning pen at my side. The people who have come to buy my new book. The smile as I sign it for them. There is just something very positive and freeing when I replace the negative voice in my head with this scene. The negative voice can be hard to overcome, but with a few little tips and tricks, we can beat it back and not allow it in anymore. One thing I’ve noticed is that when I really do replace all that negative talk by reminding myself that “I can do hard things,” and seeing my booksigning scene in my head, and thinking of what I can do now, I feel more empowered in myself and in my writing. The positive voice and thoughts are like giving myself a little gift—the gift of moving forward with creating something for others to enjoy and feeling good about what I’ve done no matter what happens. How do you keep that negative voice out? Well, I’m feeling very sheepish today. My word count isn’t very high and I have a confession to make. Even after last week’s post about drafting and letting go of perfectionism and not going back to revise . . . I went back and revised my first chapter. And I only got in about 400 words on Chapter Two. I have no excuse. My perfectionism is a sickness. I know that I’ve stifled my flow and squashed my word count because I interrupted everything to go back and revise the first chapter. The words aren’t coming so easily anymore and some of the ideas that were flowing have stopped. I don’t know why I do this to myself, but it’s a weakness I’m working on. This week will be better. I can feel it. I’m going to look forward and really draft. No excuses. So, just so I don’t feel all alone, like the only writer in the world who ruins a perfectly good groove, tell me what your writing weakness is and how you cope with it, okay? Come on, confess. You know you want to. You may even feel better after.